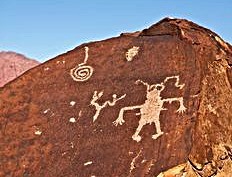 Early in the day, my good friend Kim, her brother Robert, and his wife Carla, and I decided to visit the Anasazi Ridge petroglyphs near St. George, but it was late in the afternoon before we actually got around to doing so. We hadn’t gone far along the trail when I realized I was holding up the other three people, all 20 or more years younger. I had back problems last year that has slowed me down considerably. Anyway, I knew that at the rate we were going, we would never get up to the petroglyph ridge site and back down before dark. I opted to stop at a pleasant spot along the trail and wait for them. They, being good people, tried to persuade me otherwise, but I was more persuasive, and so they left me behind. A few years earlier, I would have been upset at my inability to keep up on a hiking trail. In fact, I cried the first time it happened. 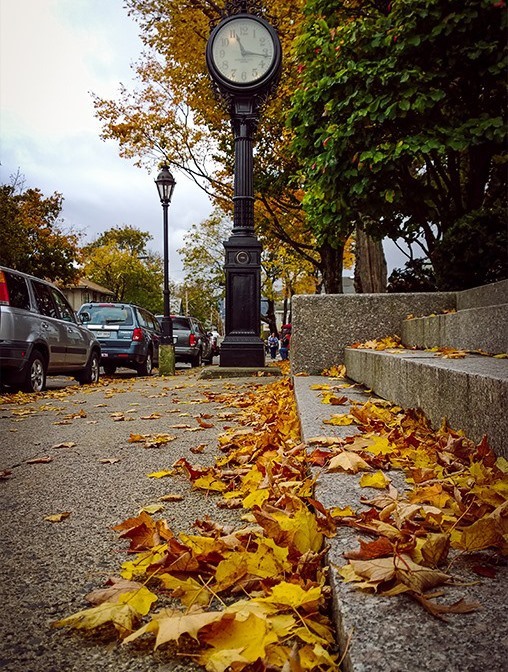 But the years have been good to me, and I’ve learned that there is always, and in my case I do mean ALWAYS, a silver lining for my slower hiking pace. This day, I took some photos of St. George’s rare autumn colors (this was the day after Thanksgiving) and then settled down on a large flat rock and enjoyed my surroundings. A bit later, a good-looking, grey haired man sauntered down the trail, and stopped to chat with me. It was a pleasant interlude. I’m not so old that I didn’t enjoy his effortless masculinity – and may I never be. “You know you’re sitting right beside some petroglyphs,” he said, then showed me two spiral stone carvings hidden in a rock crevice. One of the spirals turned clockwise and the other counter-clockwise. “One represents birth, and the other represents death,” he said. We chatted for a bit longer before his long legs sauntered on. I was then eager for my friends to return. “Did you see the petroglyphs?” I asked, when they finally came into view. They replied that they had. I then smiled, and asked if they wanted to see some more? “When one door closes, another opens,” said Alexander Graham Bell, who then went on to say that too often we focus so much on the closed door that we fail to see any new openings. Thankfully, I see new doors opening everywhere these days. It’s the reward for the aging of my body that can no longer do the same things it once did, certainly not at the same speed. 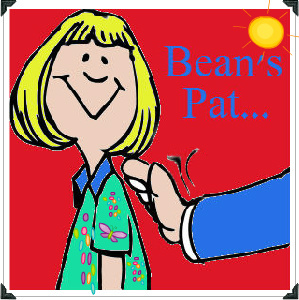 Bean Pat: Cravesadventure http://tinyurl.com/z9w3bs2 Some good thoughts about one’s hopes for the New Year. Thanks, Pat. I needed that! Well deserved, and you’re welcome. That is a wonderful story! 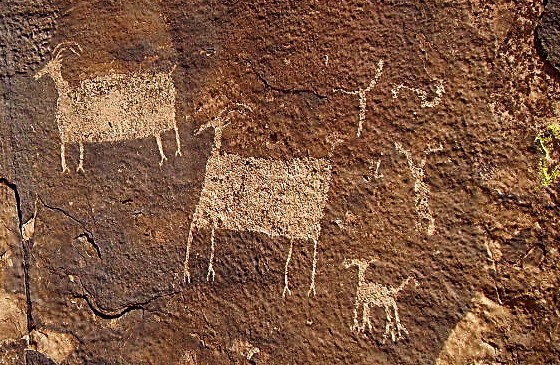 Wow, how nice of that man to nudge you to the hidden petroglyphs! I would have felt like a child finding the golden egg! I felt exactly like that. And my friends no longer felt bad about leaving me behind. Thanks Playamart. Let’s just keep the autumn of our lives as colourful as those leaves you have in the first picture! I certainly intend to do so. Thanks Pit. Love hearing from you, Pat! Happy hiking at whatever speed. Thanks Len.. Just call me Sister Slow. That’s what my kids called me and I had a scooter I rode a half mile to work. Ditto. Your blog often provides inspiration for me. You are very much young at heart when you ask me to look at my half-full glass. Thanks Cindi. I’m looking for a good picture of a mynah bird. Beautiful – some times you are right where you need to be and that is MAGICAL and AMAZING 🙂 Take Care and Happy Day – Enjoy! Exploring is not only how much things you look at but also how well you see them.